Course Website: Official Website - Visit Rock Hollow Golf Course's official website by clicking on the link provided. 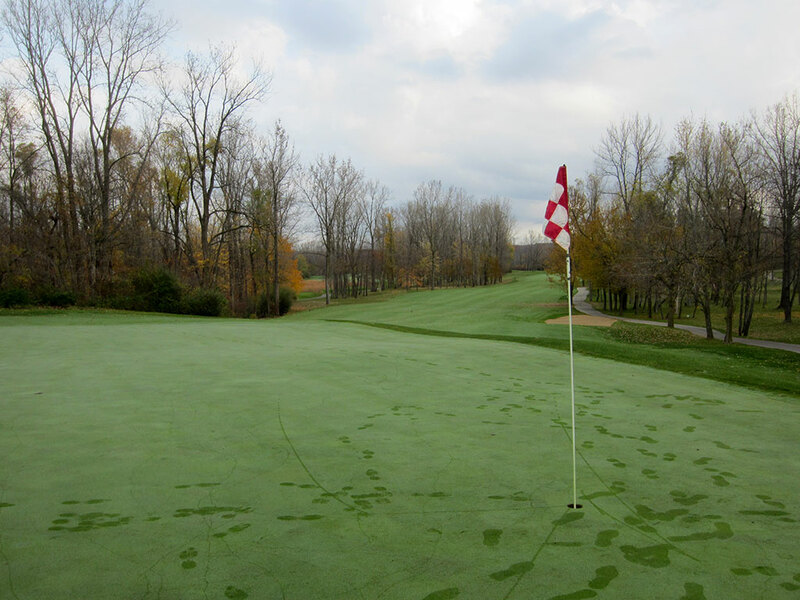 Accolades: Ranked 4th in Indiana on Golf Course Gurus' Best in State list. 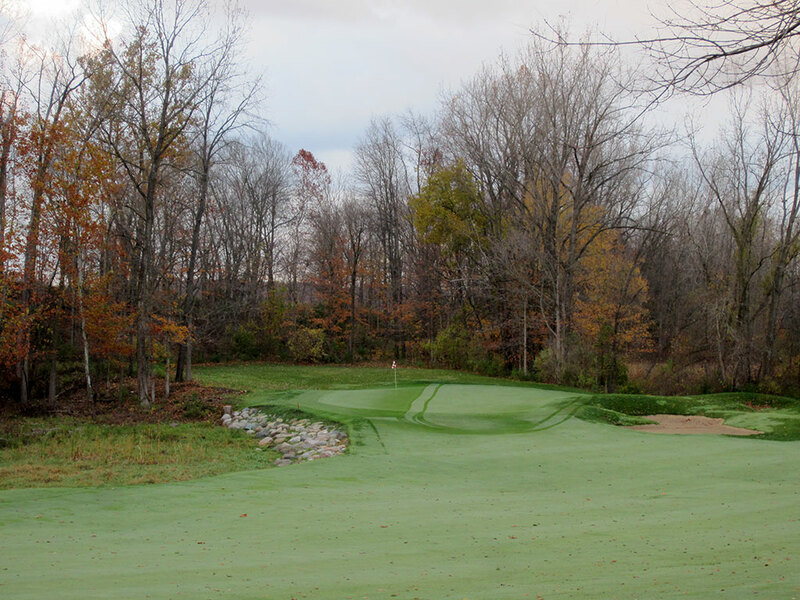 What to Expect: Heading into my round at Rock Hollow I knew very little about the remote Indiana course. I scheduled the Tim Liddy design on a 17 course trip that included ten courses ranked in Golf Digest's Top 100, so as you can imagine, Rock Hollow was flying a bit under the radar. 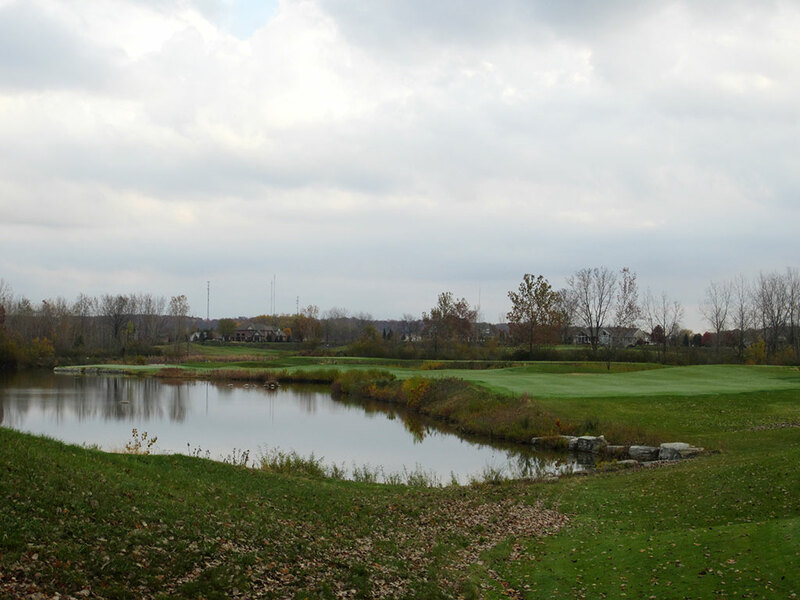 After finding the way to the former gravel pit site and checking in at the modest clubhouse, I was expecting a modest public course on par with most municipal courses. What I ended up finding at Rock Hollow was much more. The signature opening hole sets the tone early by offering a dramatic downhill driveable par four with an island green framed by rocks. 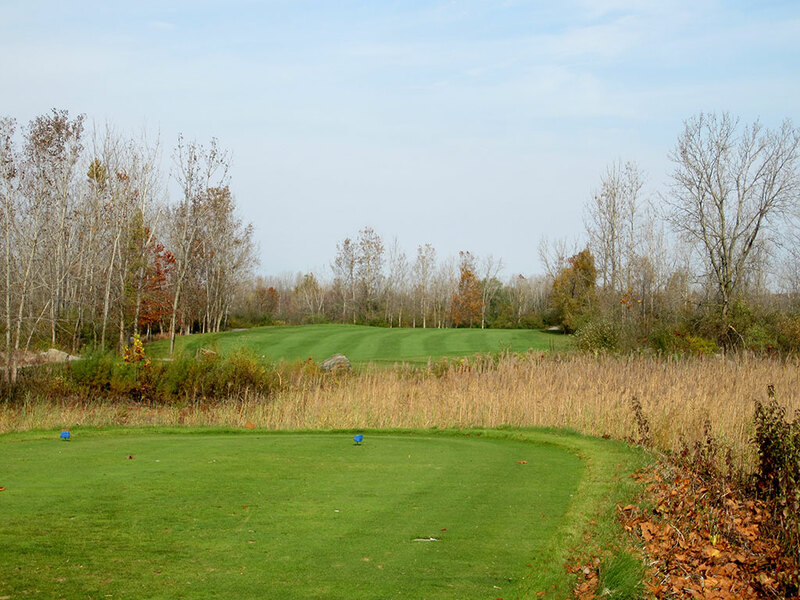 The course continues to offer engaging holes as it traverses through trees, across wetlands, and over several elevation changes on terrain that provides beautiful scenery coupled with well designed holes. 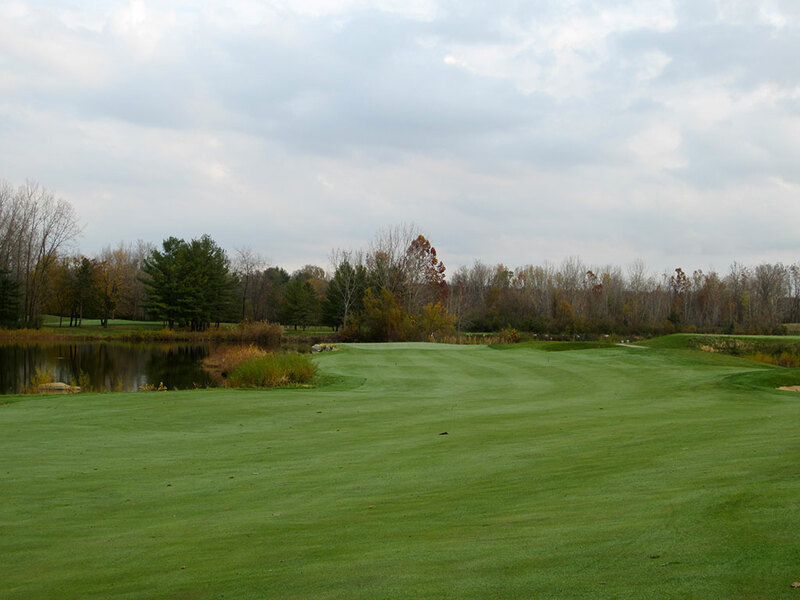 The bentgrass fairways and greens are maintained in excellent condition, especially for a course that charges less than $40/round. There are plenty of risk/reward opportunities on the course ranging from short par fours, to undulated par threes, to daring tee shots over water; all of which add up to a compelling and entertaining round. In short, Rock Hollow blew the door off my expectations. 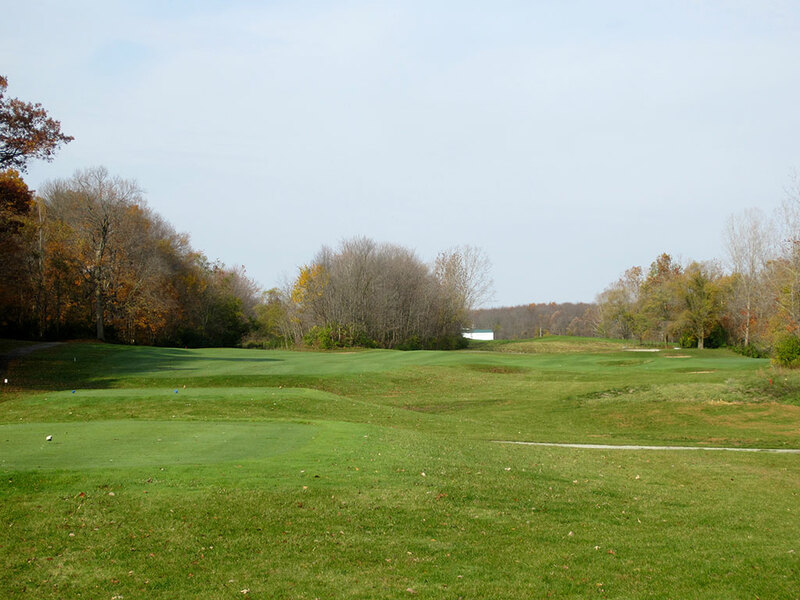 The premier layout offered at a muni price adds up to the best value in Indiana and a must place if you find yourself in the Hoosier State. Signature Hole: 1st Hole – 296 Yard Par 4 – Opening holes that can be considered the signature at a course are nearly as rare as a course that finishes with a par three. 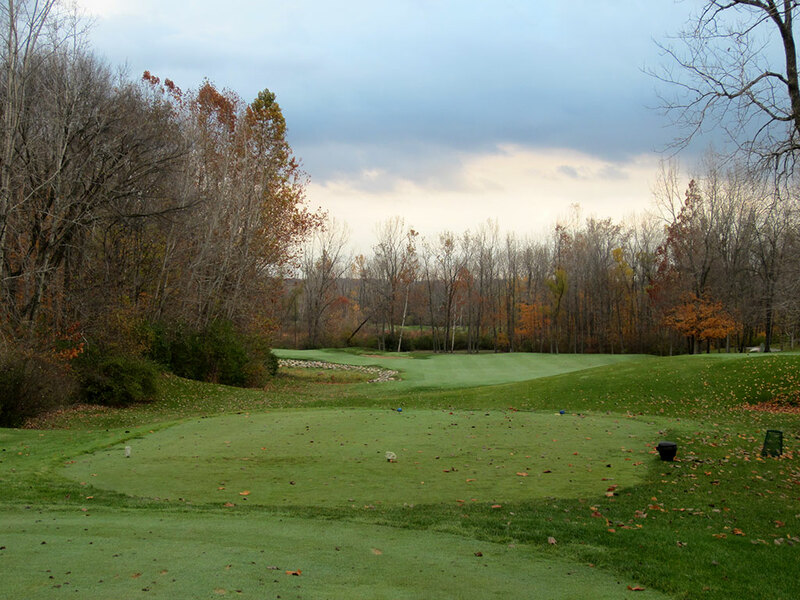 At Rock Hollow however, no time is wasted in introducing you to the most talked about hole on the course. Playing downhill between the trees and turning slightly left at the end, you better have warmed up before your round because you instantly are given the opportunity to drive the green and have an eagle putt. The green is protected by a hazard to the left and a bunker to the right, but if you are feeling good the risk/reward opportunity is worth rolling the dice on. Best Par 3: 14th Hole – 228 Yards – This anthill style green slopes down to water in the front and on the right, while the left side slopes to a more recoverable situation with medium length rough awaiting. The hole plays slightly uphill from the back tee and is a formidable challenge for any player. My advice? Take aim at the left center of the green no matter where the flag is. 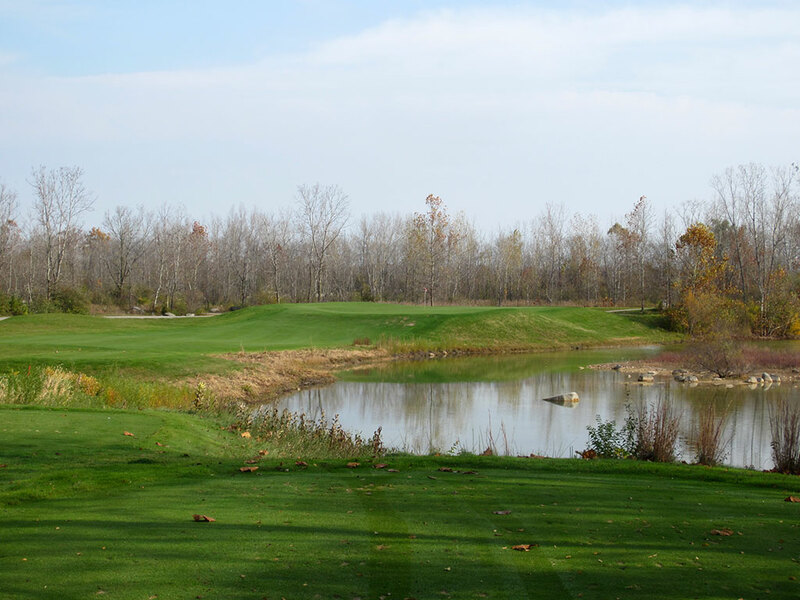 Best Par 4: 7th Hole – 429 Yards – When I played this hole I instantly thought of the 8th hole at Crooked Stick which was designed by Pete Dye, Tim Liddy's mentor. Nearly identical in length and shape, this dogleg left hole features water along the entire left side of the hole and thus never leaves your mind as a hazard to avoid. The peninsula style green makes a back left pin a dangerous flag to attack. Best Par 5: 15th Hole – 537 Yards – With trouble left and right and no view of how the hole is shaped from the tee, the 15th presents one of the most difficult drives of the day. 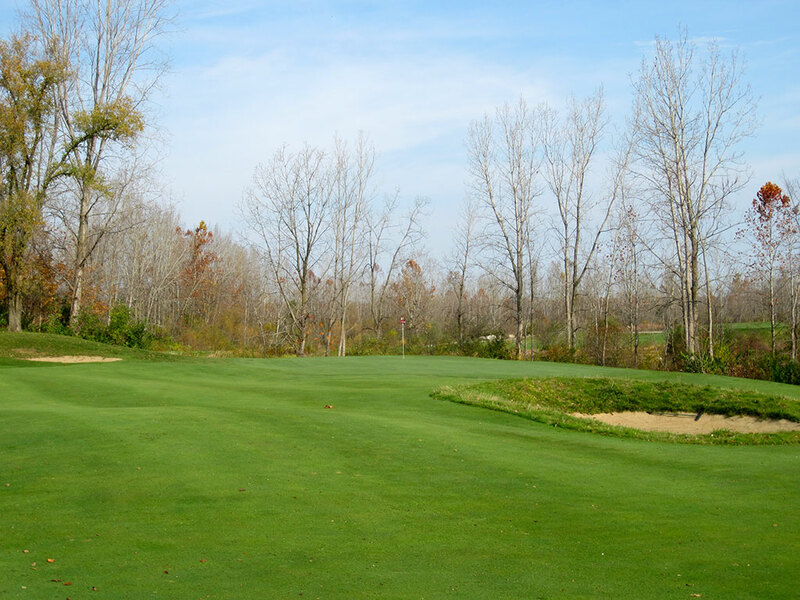 After busting your drive towards the short grass, you will crown the hill and see the S shape fairway work down to a green that is protected by a pond on the right. Reaching the green in two is definitely a possibility, but the crown running the length of the green is what could turn an eagle putt into a par in no time. Birdie Time: 13th Hole – 332 Yard Par 4 – Under the right conditions, this is a driveable par four with a relatively generous fairway. The hole doglegs to the right and features a pot bunker in front of the green. If going for an eagle putt doesn’t fit your game, a 200 yard tee shot will carry the fairway bunker and present a large landing area in which to land your ball in. With a scoring club in hand, there is good reason to take dead aim at the flag and knock in a birdie. 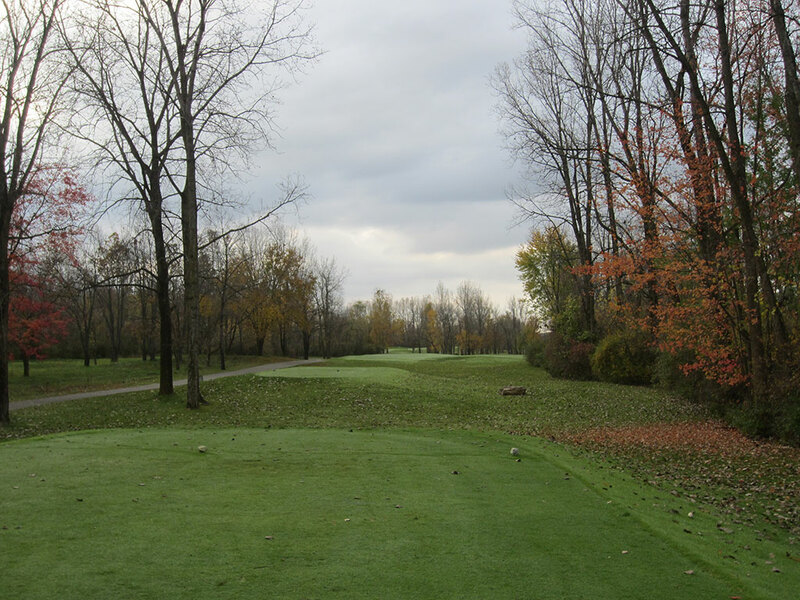 Bogey Beware: 6th Hole – 601 Yard Par 5 – This is a brutal par five! There are a handful of PGA professionals that would have a chance to reach this hole in two if it were flat, but factor in the steep uphill climb and slight reverse 'S' shape design and this hole becomes a bear for any mortal to have an eagle putt on. With the hole lined by trees on both sides and the challenge that is presented with uphill approaches, this par five becomes extremely difficult to tame.